I'm throwing a party celebrating earning Stampin' Up! 's incentive trip to Alaska! The party is right here online and you're invited, no purchase necessary. 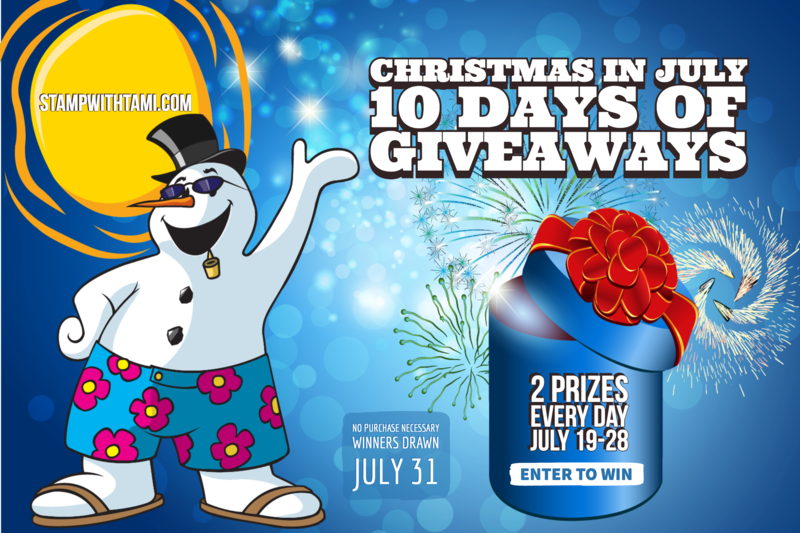 Welcome to my "Christmas in July - 10 Days of Giveaways". Each day for 10 days I’ll be offering a Grand Prize (fill out form to enter) and a Bonus Prize (comment on Facebook to enter). That's a total of 20 total giveaways and 20 total winners. You may enter once per giveaway…so that’s 20 entries and 20 chances to win! Giveaways will begin July 19, they will post below. Winners will be drawn live on Facebook & Youtube on Tuesday, July 31. Stay tuned to my Blog, Facebook Page or Youtube Channel for exact times. In addition, winners names will also be posted on my Winners Page and Weekly Newsletter.